This year I purchased a spearmint plant from the herb society at their annual Quail Hollow herb festival. The past years I have bought one and made its home in a pot where it would produce for a little while then die. So this year I planted mine in the ground by the driveway wattle fence. I have never had such a tiny mint plant grow so many big fat leaves! I have been able to pick 2 cups fresh leaves each week to dry for the winter tea. I am kicking myself for forgetting to buy lemon balm now. 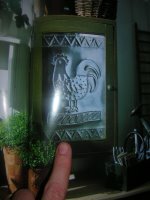 I will call down to another local greenhouse and see if they may have one left I may purchase. The calendula has been very bountiful and I pick anywhere from 6 to 12 flower heads a day this week. Drying those too since my infusion will need one fresh dosing of petals then its salve time. I do not know what else to do with all this calendula I have been getting. I planted my patty pan squash around it since their previous spot stunted their growth. Once moved by the calendula, it took just a few short weeks to spur them on. I have a mystery plant growing in the garden. (clicking on my pics brings them in zoom) I thought it may be a tomatillo vareity, but am second guessing now that I see white flowers. Do you know what it is? 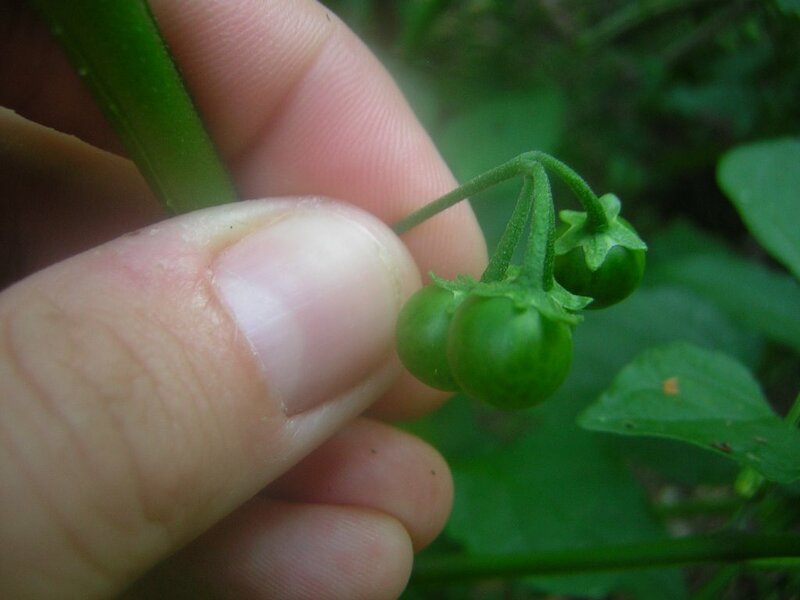 Maybe a small pepper? 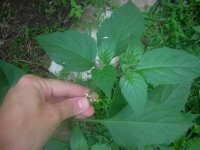 Maybe just a weed? Maybe you are wondering why a weed would even get that big in my garden in the first place? 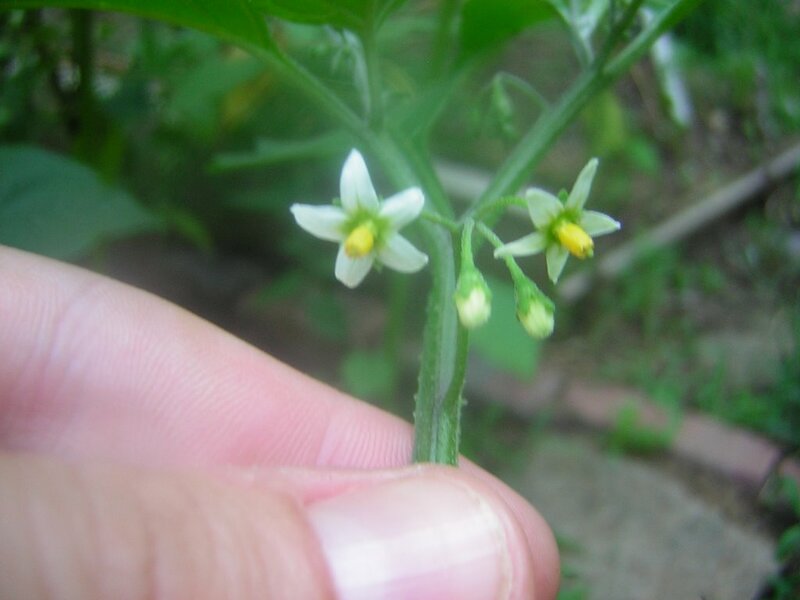 I honestly do not know since it was growing by the black cherry tomato, 2 sunflowers, and a nasturnium looking plant. I had lots of leftover Renee's garden seed packets of flowers (year 2003/2004...) I spread out among the yard which hinders my memory of what is what. I have been drowning myself in redo books for our home. I need to turn this place around so I can get what we want/need from its sale in the next year or two- better be on the market next summer though! I have to do it creative and inexpensive. I need some great illusionsal work here!! One b ook hit me with the inexpensive inspiration. Grand illusions by nick Ronald & dDavid Roberts. 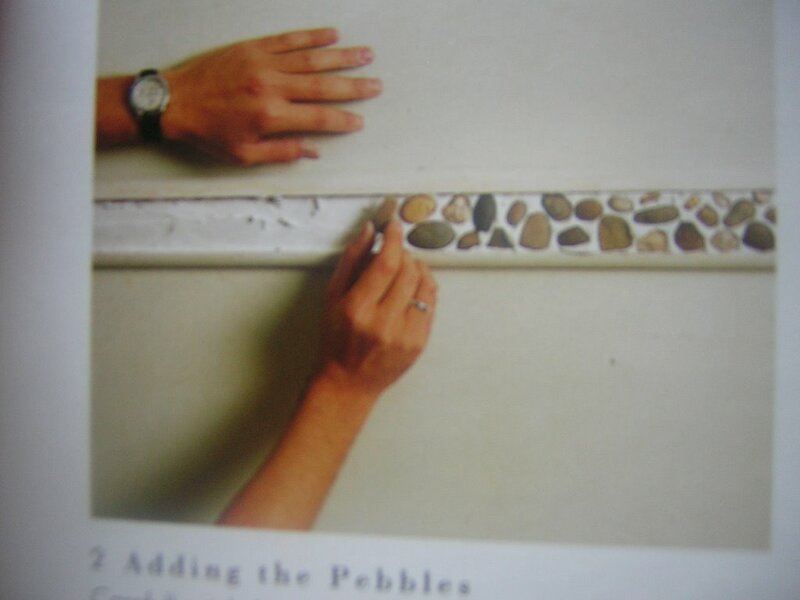 I found this realy cool idea to do a "chair rail height" trim with smooth stones/pebbles inlaid with trimming and grout.They called it Pebble Frieze. It would go with the feel of this house for sure. I am putting 12x12 tiles in a tan/cream marble look for the bathroom floor. Doing a trim with the stones would be such a nice look. I am also going the extra mile and doing my coffee table top inlaid with the stones.We started collecting today which gave us a fair head start. 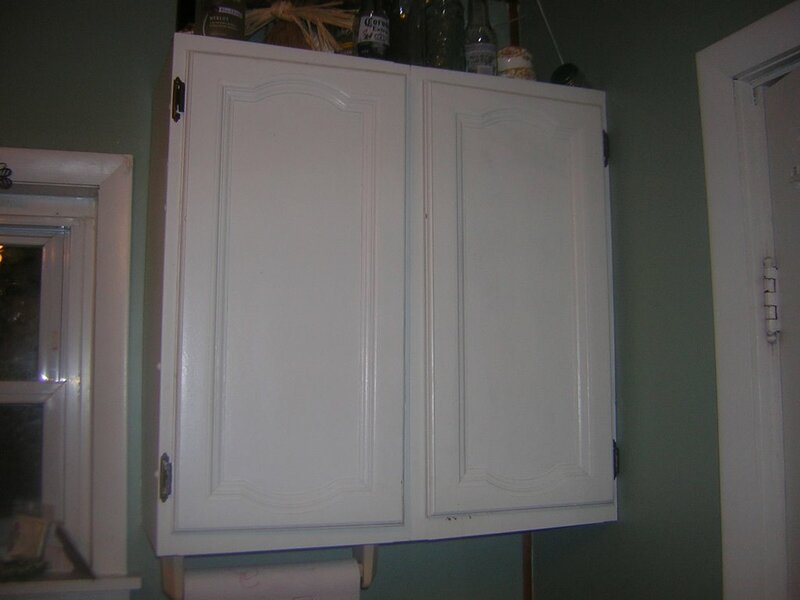 The kitchen and dining room had the same walls and I did the same finsh to both rooms except the dining room has a metal blue color with a sand texture/ finish in it. Plus we added a chair rail trim with a leaf motif carved in it. Both floors are looking very shack like now. 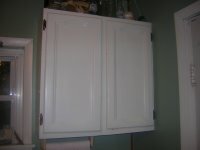 I have been pulling up the layers of linoleum and even tried to lay squres down in the kitchen. They keep coming up so now both rooms will be getting wooden floors next spring. So between the barnyard, the kids, & this house, I am truly on multitasking overload! I would be bored otherwise so I'll stop belly aching.